India's ace shuttler Kidambi Srikanth have lost to Denmark's Victor Axelsen in the Men's Singles Final by the scoreline of 7-21, 20-22. 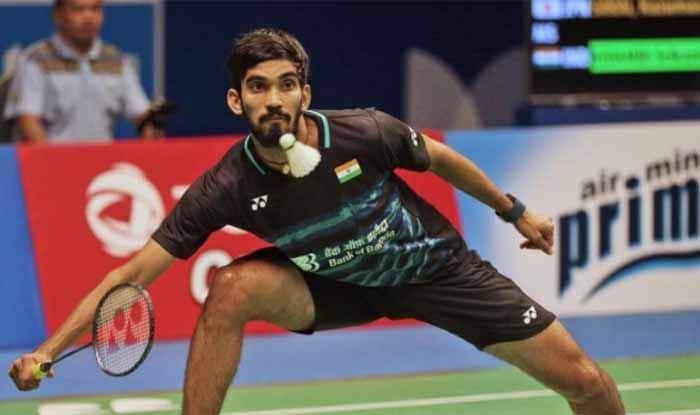 Indian ace shuttler Kidambi Srikanth fell to a dominating display against Denmark’s Viktor Axelsen in the men’s single of Yonex-Sunrise India Open. The former world no. oen blew two game points in the second game to lose 7-21 20-22 to Axelsen with which his hopes to end his ongoing trophy drought came crashing. The final started as a close affair with Srikanth and Axelsen splitting the initial 10 points but a series of unforced errors from the Indian allowed the Danish player to move ahead as he unleashed a smash to seal an 11-7 advantage at the break. Srikanth failed to engage his rival in rallies with Axelsen punishing any weak return. The Indian’s backhand was particularly weak and he lost a lot of points there. Axelsen eventually took the opening game when Srikanth went long. After the change of sides, Srikanth conceded a 1-5 lead to his opponent early on. The Indian took the next three points but Axelsen was always a step ahead. Srikanth’s lifts went long and he also made wrong line calls, enabling Axelsen to grab a 11-9 lead at the break. A fighting Srikanth, however, clawed back at 12-12 and went to the lead at 14-13 after Axelsen smashed wide. Another smash helped Srikanth grab two game points. He lost both with a wide return and after failing to connect a shot. A net dribble gave Axelsen one match point and he sealed it with a precise return.